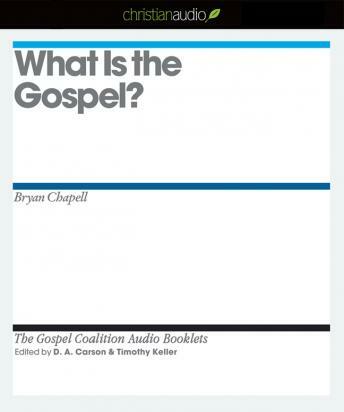 What is the gospel? Bryan Chapell explains that the gospel is the message that God sent a savior to rescue broken people, restore creation's glory, and rule over all with compassion and justice. This new booklet from the Gospel Coalition examines the gospel's proclamation that the death and resurrection of Jesus Christ provides for those who believe all that God requires and leads to eternal life. But this ancient, unfolding story of salvation is not limited to personal spiritual realities. God's rescue, restoration, and rule through Christ renew hearts, empower lives, and transform the world. What Is the Gospel? examines how the salvation that unfolds in Scripture grants to God's people the right to participate in the furthering of the kingdom that transforms all things for his glory. What Is the Gospel? offers a thoughtful explanation for point 6 of the Gospel Coalition's confessional statement. The Gospel Coalition is an evangelical renewal movement dedicated to a scripture-based reformation of ministry practices.